As we do each year, this Labor Day, we recognize the incredible achievements of America’s workers and celebrate all those who make our country run day in and day out. Many of us will be busy this weekend with barbecues, festivals and other types of family events. However, this is also a time to truly consider what strengthens our families and to take a hard look at how failed public policies have diminished working peoples’ ability to sustain a good living. Workers are the backbone of our economy and need to be recognized as such, both in word and deed. Too often, working people have taken a back seat to corporate interests that put their profits above workers’ pursuit of a better life—a better life they are perfectly willing to work for. Many hardworking Hoosiers are frustrated because despite our sweat, our sacrifice and our innovation, too many of us struggle to support our families. We recognize the need for change because the cost of living continues to rise while employers deny working people the wages and benefits needed to sustain their families. Everyone should get paid for the work they do. 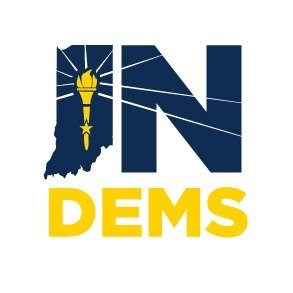 In Indiana, out-of-state corporate interests and Republicans in the Statehouse, led by Governor Mike Pence, continue to push an agenda that seeks to exacerbate the economic imbalances that make it even harder for working people to live better lives. 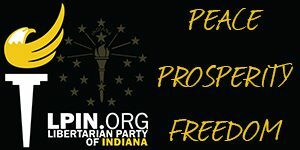 From repealing the long standing and highly successful Common Construction Wage law which ensures workers are paid a fair wage on publically funded construction projects, to attacking teachers and undermining public education, to weakening the states’ anti-wage theft laws to denying discussion on raising Indiana’s minimum wage. It doesn’t have to be this way. Born from struggle and driven to find solutions, the labor movement is fighting back to correct this economic imbalance, and these efforts have captured the attention of everyone from the president to the pope. We are determined to counteract these imbalances because we know they did not come about by chance. They have been the result of failed public policies and a rise in political and corporate attacks on working people. Simply put, it is time to change the rules. Working people are united under the banner of Raising Wages because America should have an economy of shared prosperity that lifts families up and strengthens our nation. By raising wages, providing for paid sick days, paid maternity leave and equal pay for equal work, combating wage theft and other things that stand in the way of economic stability, we can empower working people to not just survive, but thrive. On Labor Day 2015, let us refocus on doing what is best for our families, our communities, our state and our nation. Working people everywhere are standing up and speaking out for fundamental, lasting change, regardless of whether they work in manufacturing, engineering, service or retail. Every day, they work hard and sacrifice to make our country stronger. This Labor Day should be a celebration of working families, because we are ready to speak up together, change the rules and bring lasting economic balance so every family can pursue the American Dream and work for a better life. 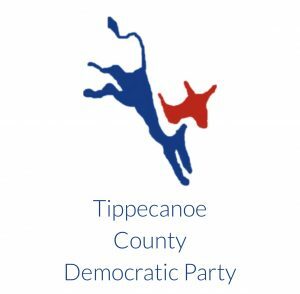 It’s an Indiana Democratic House District 26 candidate forum as Gary talks with Vicky Woeste and Deanna McMillan in why the want to be the next District 26 State Representative!